The New Years fitness infomercials are motivating and impressive, but are you ready to commit to the prerequisites of the programs? If the appearance of dried out Christmas trees in dumpsters and colder, drearier weather doesn’t remind you that it’s the New Year, the flood of television advertisements for home workout programs and equipment should. 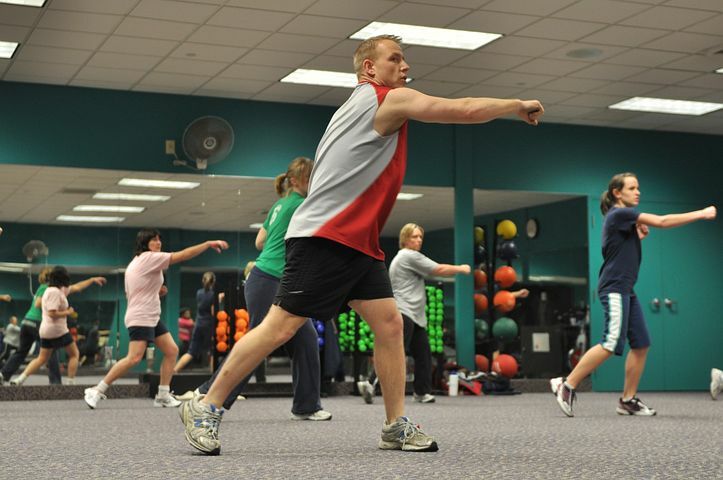 Advertisers and fitness gurus know what gym owners like me have seen for years: the New Year hits and brings with it a renewed interest in getting fit and losing weight. 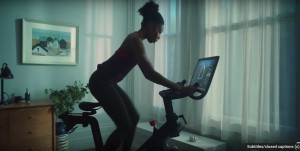 There are always the recognizable names among the home fitness offerings: Nordic Track, Bowflex, Denise Austin, Jillian Michaels…you know them all. New equipment and workouts are routinely launched in January, too, such as this year’s notable newbie, Peloton. Before-and-afters can be motivating, but expectations typically don’t match willingness. 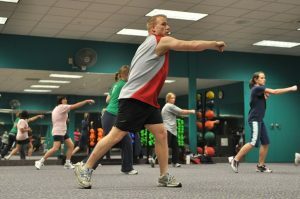 Watching the infomercials, it’s easy to see why people invest in all the workout DVDs and exercise equipment for home. However, it is more psychology than anything that is making those sales. You see the muscular, ripped guys and svelte women sporting six packs standing next to their sad, oh-my-hell-that-looks-like-me “before” pictures. You hear them talk about how great they feel and how terrific it is to fit into a size 6. You see (deliberately) short clips of them working out and hear them tell how they only had to exercise 15 minutes a day and started seeing results immediately. It’s all been designed to strike a chord with people who want to look better and feel better and who have been primed for that kind of change by a New Year’s Resolution that, truth be told, was only half-hearted. Now, don’t get me wrong. I am all for any exercise equipment or program that works, but those people on the infomercials usually had to follow a strict diet and workout plan that you may not be willing to follow. And that is the one huge drawback that every single at-home workout scheme has in common: you actually have to do the workout, follow a prescribed plan, and/or use the equipment regularly to see results. 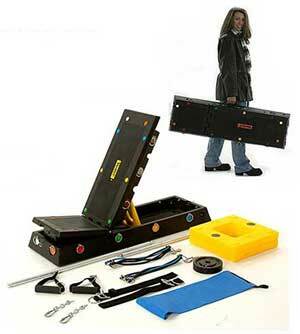 A few years back, Consumer Reports conducted a survey on exercise equipment for home. Quoting the results of that survey, the New York Times says that 40 percent of people who buy home workout equipment use it less than they thought they would. Truthfully, the number may be even higher as those were the people who were willing to admit to not using the expensive program or piece of equipment that they bought. The point is, an alarming percentage of people waste their money with the intention of working out at home. Fitness clubs give you access to hundreds of thousands of dollars worth of commercial-grade equipment for a relatively low monthly fee. Shunning home equipment is not the solution, as it can actually increase your fitness and help you lose weight if you are dedicated. However, for most people wanting to lose weight and get into shape, joining a gym is the better option. 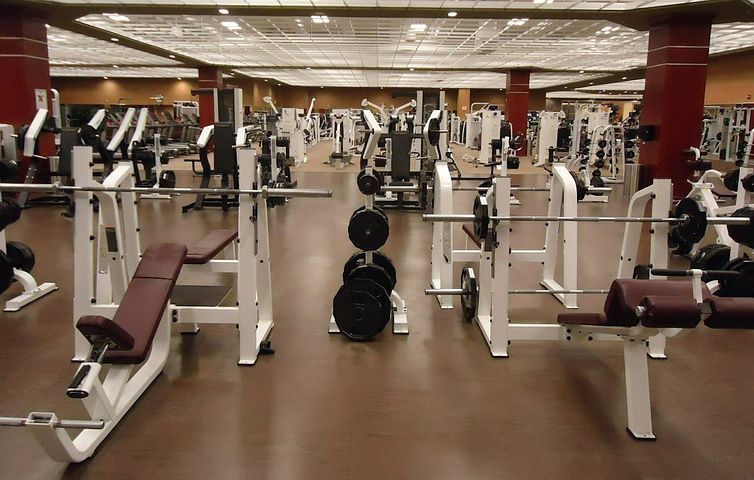 Your local fitness club has a ton of commercial-grade equipment that they’ve paid for and they maintain. For your pittance of a monthly fee, you get to use that equipment without having to cough up the thousands of dollars it costs or paying to keep it all in working order. Unless you choose compact exercise equipment that is easy to store and transport, you’ll have to give up space in you house for your home workout. Sometimes working out at home means giving up an entire room to accommodate one large piece of equipment or several smaller ones. Newer equipment even requires a subscription for instructional access plus a hearty Internet connection to stream content. Then there’s the unfortunate fact that when you try to work out at home, life usually gets in the way. The phone rings and you have to answer it. Someone knocks on the door. The baby cries. Dinner needs to be made. Your spouse, who should be offering support and working out with you, would rather munch on butter-laden popcorn and drink beer while watching TV. 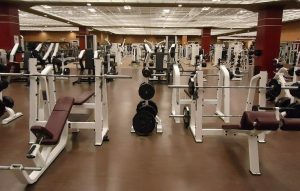 At the gym, all of that gloriously goes away for an hour or two while you work on your fitness. At the gym, the energy is vitalizing. Everyone is there for one positive reason: to get fit. Joining a health club keeps you motivated, too. Doing the same workout at home over and over … and over and over … gets old pretty quick. The monotony is probably to blame for most of the 40 percent who buy home equipment and don’t use it. At the gym, though, there is variety. You can do a free weight workout one day, take a class the next, and work your way through the cardio center without using the same type of machine twice in one week. That’s not to mention that everyone at the club is there for essentially the same reason: for their health. That brings a positive energy into the place that is infectious and will encourage you, no matter what your attitude is when you arrive. You should be able to get a month membership at a quality club for about the price of one moderately priced meal out. What’s that? You say you can’t afford a health club membership? While it’s true that some old-school clubs use their well-known names to justify holding onto their antiquated initiation fees and inflated monthly rates, many clubs are cutting costs, reducing staff, and going 24/7 to eliminate as much overhead and as many arguments against working out as possible. If you want the elite status that comes with joining those big-name clubs and can afford it, go for it. 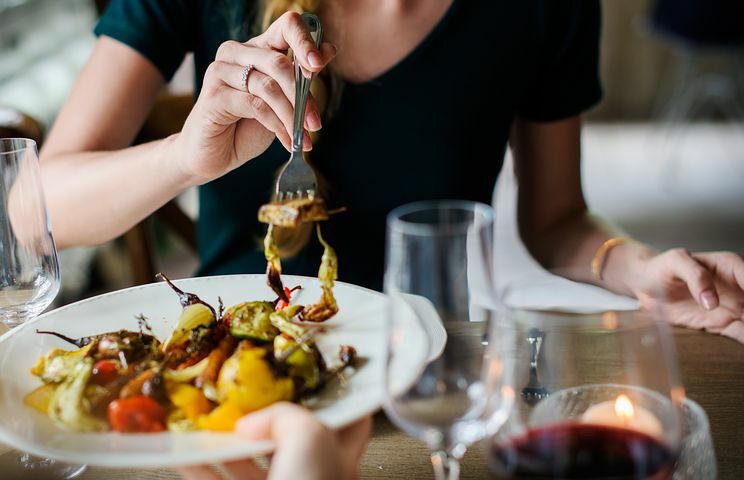 However, you should be able to get round-the-clock access to a quality gym for an entire month for about the price of one inexpensive dinner out. On the other hand, if you can’t forego just one night out a month, then you really don’t want to get in shape, and you are likely among the 40 percent who would not use fitness equipment, even if it was right in your own home. I’ll reiterate one more time: I’m not against home equipment or programs that get you working out. Though I’m big on joining a club for staying motivated and having access to a wider variety of workout options than you would ever be able to afford on your own, I also advise people who are serious about losing weight and getting in shape to go ahead and invest in something they can use at home. It increases the variety even more and offers an alternative for those days you can’t make it into the gym. The best workout and weight loss plan is the one that you actually use. And, if you use ’em, they’re the ones that will garner results every time. Train Hard, Stay Clean in 2019! This entry was posted in Uncategorized on January 3, 2019 by Lisa. Great article Matt! Loved reading your insights! Thanks for keeping Hardbodies open for all these years and for offering the membership at such a great price! I joined when I was 19 and your gym has helped me stay with my fitness habit for 2 decades. Appreciate that so much!